Good grief, where to even begin with this story? I'll preface this by saying math is not really my strong suit. I was in the harder maths in high school and did fine, but I have always been more of an English/Language Arts person. Not being a math person is no excuse for what you are about to read, but I thought I would lead with that to come out with a small shred of dignity, if that's even possible here. Parker and I were laying in bed with Jenny talking about how cute she is. You know, the usual. Suddenly I sat up and realized I had forgotten to celebrate her half birthday. Bad puppy parent! 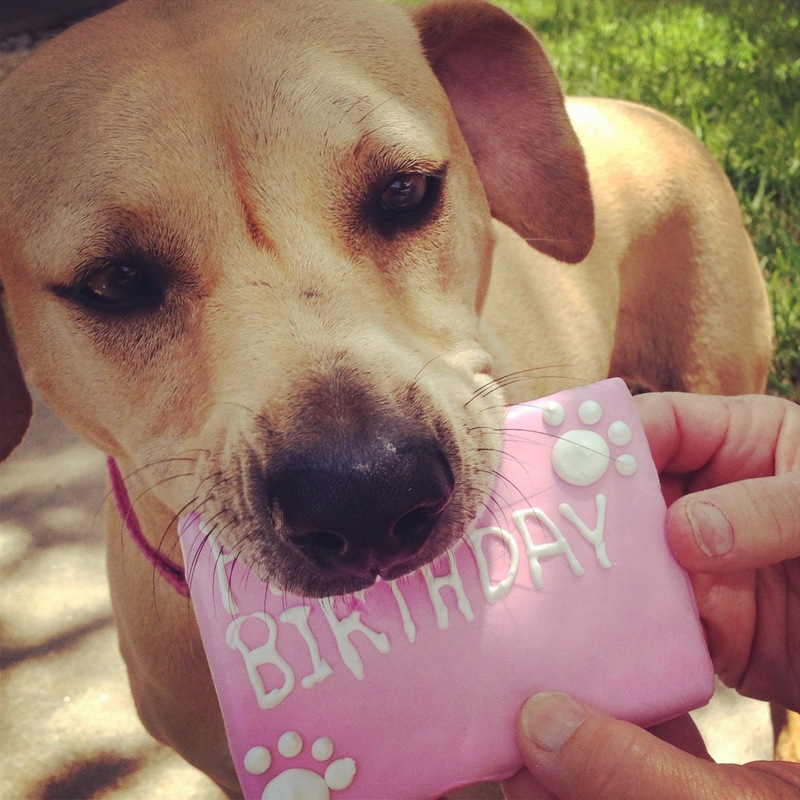 If you've read my blog long, you know that I think a half birthday should be a real thing. I quickly wished her happy half birthday and said "whoopsies" and moved on. Parker: "Ummm January 3rd. No 4th!" Chelsea: "Wrong on both accounts! Geez, and you say you love her." Parker: "Shoot, well when is it then?" Chelsea: "Well her birthday is July 5th, so let's see that math minor at work." Parker: "January 5th! January 5th. I was close." Chelsea: "No, I told you no part of your first answer was right. It's February 5th. That's six months before/after July 5th. Geez husband!" So feeling satisfied that I outwitted my husband and somewhat confused as to why this concept was so hard for him, I went back to playing with Jenny and checking up on social media. Parker was still was confused as to how he was wrong, so he went to get a pen and paper and try to understand. Again, I still couldn't see how this was so hard for him to understand. At this point I'm rethinking that English has always been my strong suit and deciding maybe I'm a mathematical genius. After all, Parker is great at math and I am outsmarting him, so I must be brilliant. Parker: "You're wrong! Six months before July 5th is January 5th. Look, I've even got proof on the Internet because I know you won't believe me." Chelsea: "What?!? But...oh my gosh, I'm wrong?!" We've celebrated her birthday on the wrong day for 3 years!!! I guess I did the math right away when we adopted her and Parker just never thought to stop and check me. This was a real low point, intellectually speaking. We are still going to celebrate Jenny's birthday on July 5th because that's how we have always done it, but I know every birthday this conversation will resurface. I'll never live this one down. And the worst part? My birthday is in February, therefore my half birthday is in August. 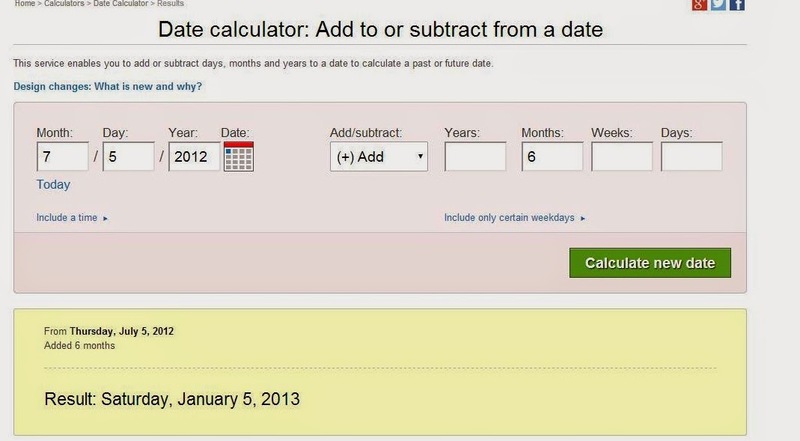 I knew this, so why when Jenny's half birthday is February did I not immediately go to August as her real birthday? I don't know. It's just bad. Sorry Jenny. So glad you're a dog and have no concept of time. Apparently you and I share that. Haha! This is the cutest/funniest story ever! That is priceless! Things like that happen to me all the time. But I can't always blame it on being blonde because I'm naturally brunette. I stink at math too! Never my strong point! That is too funny. I'm sure Jenny is just happy to get her birthday treats no matter what month of the year it is. Haha! So funny! Don't feel bad though - I still have to hold my hands up to see which one makes an "L" to tell left from right! Haha! I have no concept of the half birthday. I had to guestimate Seamus' birthday too since I adopted him. I am sure she is just happy to get the extra love! Haha! and I thought I was the only one bad at math..;) I'm sure she loved the celebration regardless of what day it is. I couldn't help but laugh at this :) I'm sure Jenny doesn't mind either way. This is totally something I would do! At least you have a funny story now! I can not stop laughing!!!! Lol. For the longest time, I used to tell people our wedding anniversary was may 30th because I knew we got married on te last day of May. I didn't realize May had 31 days. Fail.